Headphone amplifiers are very important if you want great sound from your headphones. 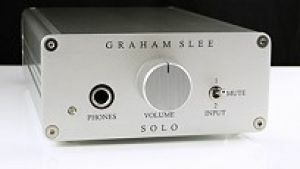 In fact it's seldom realized that a good headphone amplifier can be more important then the quality of the headphones themselves. The familiar phrase "rubbish in rubbish out" is the reason behind this. 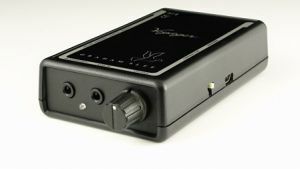 The signal source for your headphones is often at a relatively low level, musical information is easily lost or distorted at this level which is why you need a high quality headphone amplifier. The selection below are safe choices from manufacturers who have specialized in this field to guarantee the results you are looking for. 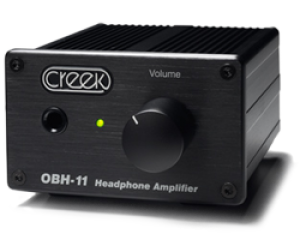 The OBH-11 is a miniature audio amplifier, designed specifically to drive a single pair of low to medium impedance (30 Ohm -300 Ohm) headphones from a line level source. 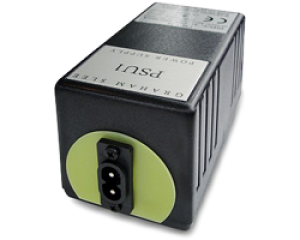 The PSU1 is the unipolar linear audio power supply supplied with the flagship phono stage preamps and headphone amplifiers. The shirt pocket sized Voyager portable headphone amp makes music on the move a whole new experience...The Voyager portable is the ideal partner for your portable music devices whos headphone outputs are often limited in performance because battery power is being used for their other functions. The Novo is truly inspired! Winning What Hi-Fi's prestigious best headphone amplifier award for three years in a row it has to be special. 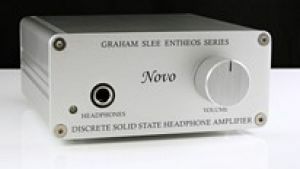 Discrete means it's made from individual transistors and that's considered high-end, but the Novo is a budget headphone amp... surprising! "It turns a computer into a top notch hi-fi source!" 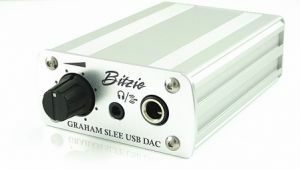 The Bitzie USB DAC is all about the music and just how good it makes digital audio sound. That just about sums up what everybody finds with the Bitzie USB DAC. 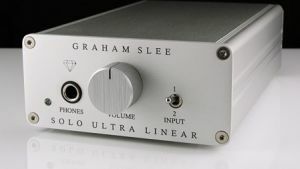 A headphone amplifier truly capable of making good headphones deliver a lifelike, dynamic and breathtaking performance with a real out of head three-dimensional stereo sound stage. The new Solo Ultra-Linear Diamond Edition - our flagship headphone amplifier - gives you the sound you always wanted from a headphones!